Hardly a week passes by these days without news of another breach in the healthcare industry. Companies in this sector have been hit especially hard with “mega-breaches,” incidents that expose thousands to millions of records in one attack. This news highlights the clear vulnerabilities in this sector and the desperate need for healthcare providers to better protect their patients’ data. In recent weeks, two major breaches have come to light that exposed names, social security numbers and more crucial information. Rush System for Health notified 45,000 patients last week that their data may have been compromised in an attack discovered on January 22nd, according to Crain’s Chicago Business. An even larger breach affected 120,000 patients at Health Alliance Plan, according to Health IT Security. This breach stemmed from their relationship with third-party vendor Wolverine Solutions, which learned about a break-in in their systems on September 25, 2018. Health Alliance Plan is only the latest company affected by this breach. As noted in a recent study by Verizon Mobile Security Report, these breaches bring to light the massive holes in the healthcare system’s cybersecurity. It’s a known fact that breaches are not only inconvenient but also expensive. The Verizon Mobile Security Report includes a survey revealing that 25 percent of healthcare organizations suffered a mobile attack in the last year, with 43 percent saying the remediation was difficult and expensive. 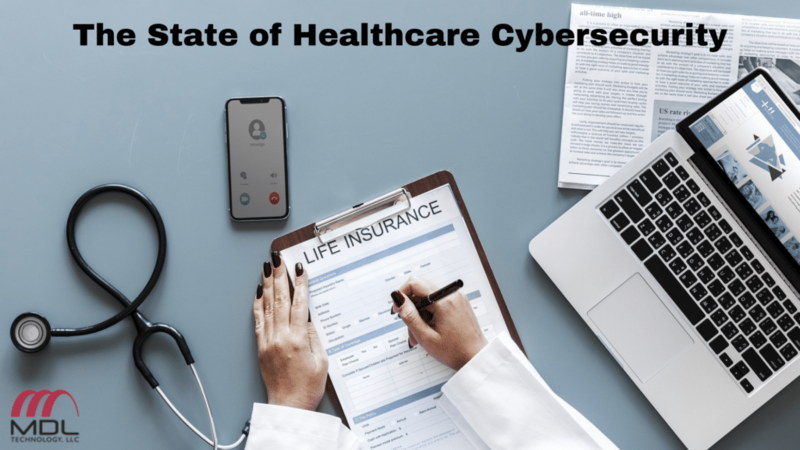 Additionally, the report found that companies in the healthcare industry were less likely than other industries to find a breach on their own, and instead were frequently notified by a customer or vendor. Of this, the researchers noted that while the portion of companies experiencing mobile-device-related breaches is lower in healthcare than in other industries — 25 percent versus 33.3 percent — it may be that healthcare organizations are simply not catching all breaches. While the use of apps and mobile-friendly websites in the healthcare industry makes for easier and better patient care, the risks that are associated with it need to be addressed by these organizations if they wish to avoid becoming victims of an attack. MDL Technology offers dedicated monitoring of your system to ensure constant compliance and security. Learn more about our capabilities on our website.